On Monday, one of my kids asked me if I was going to make “parade” shirts this year, meaning a patriotic shirt. It wasn’t really in my plans, but I figured it wouldn’t take too long to make one shirt. 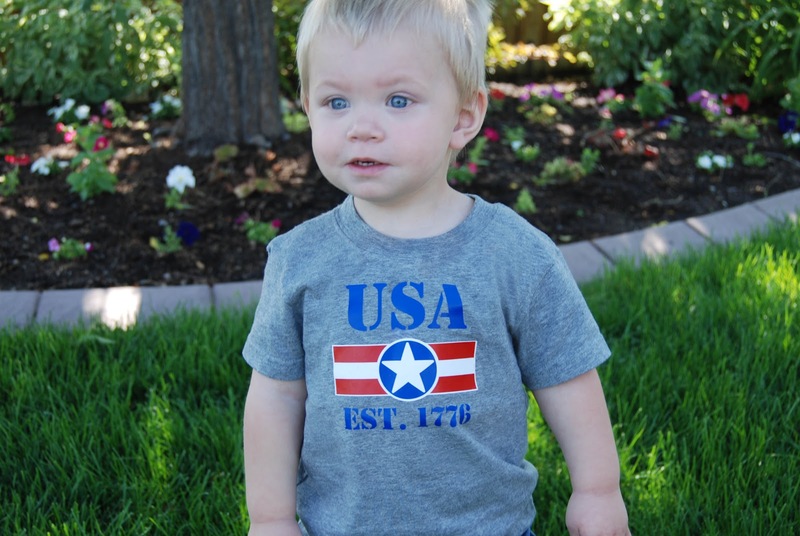 But then I realized, I couldn’t just make a shirt for one child, that wouldn’t be fair. Instead, I got to make 6 parade shirts! I couldn’t find 6 shirts in the same color, so I got 2 red, 2 blue, and 2 gray shirts. Then, I came up with a design that would work with all the colors and was gender neutral. This design required some layering. 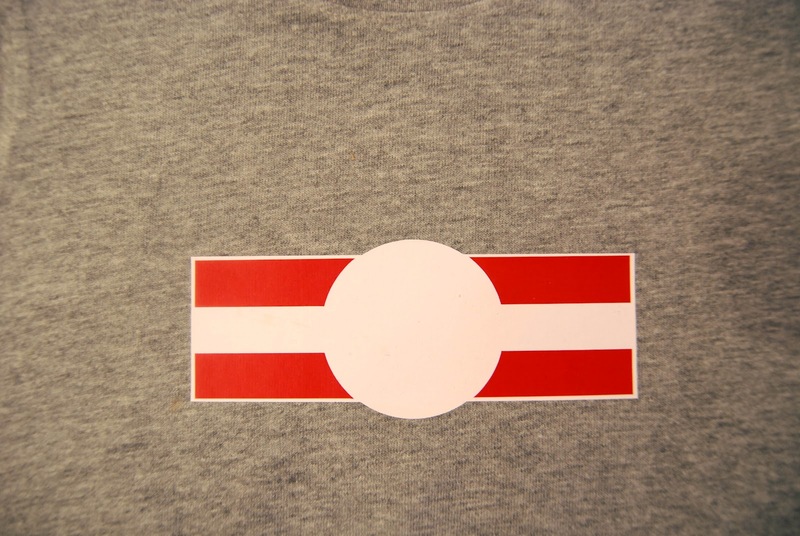 So today, I’m going to show you how I layer heat transfer vinyl. 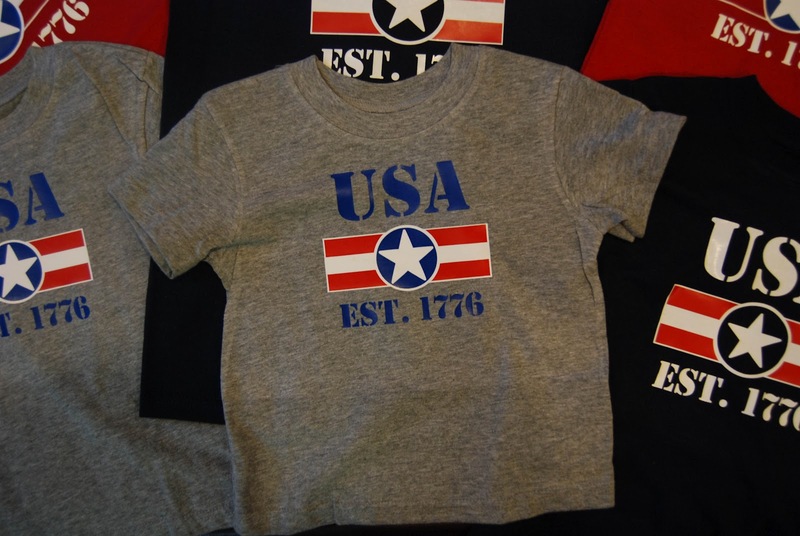 This is a three color design using red, white, and royal blue heat transfer vinyl. 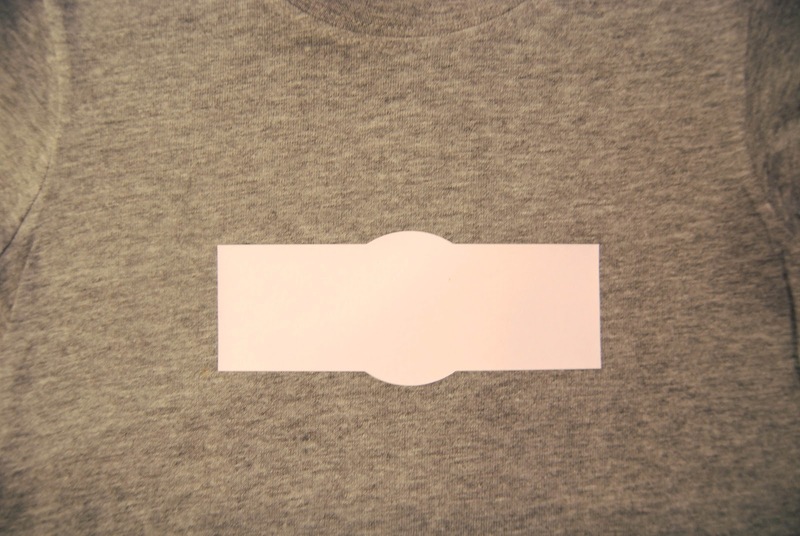 After I cut and weeded my design, I placed the three layers on the shirt to get an idea of where the design should go. I took off the red and blue and centered the white and pressed it into place. Next, I lined up the next layer of HTV and place it over the top of the white, then ironed it down. Because the HTV itself isn’t sticky like regular vinyl (usually the carrier sheet is sticky), you can move the vinyl around until you have positioned it perfectly. In some ways, I think it’s easier to layer heat transfer vinyl than regular vinyl. I repeated the same steps to layer the blue HTV. Then, I repeated those steps 5 more times and ended up with some pretty cool “parade” shirts. 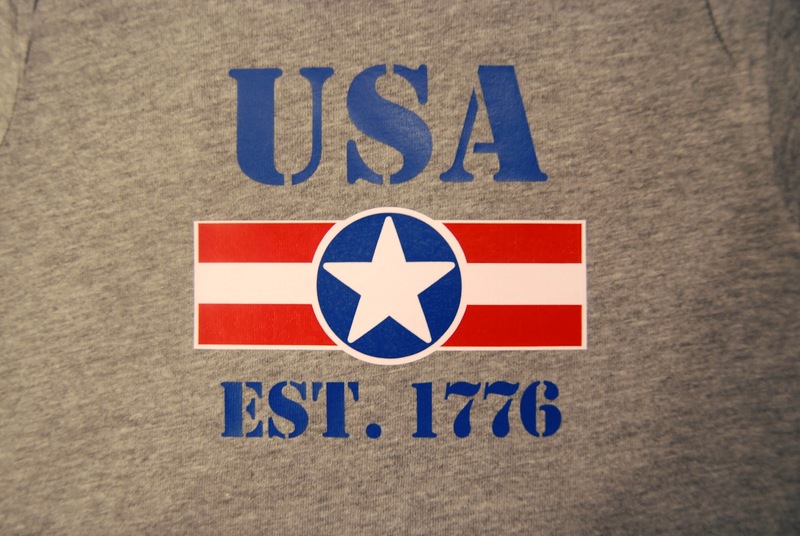 I even got to teach a quick history lesson when some of my kids asked why it said 1776. 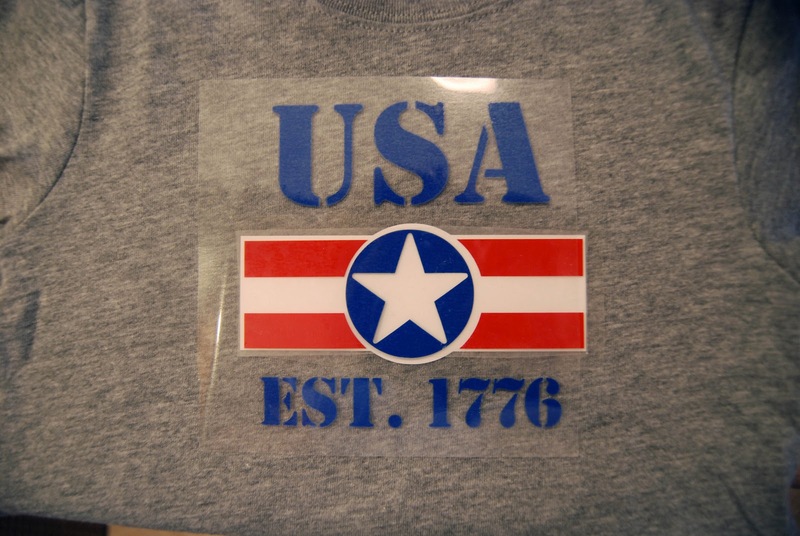 I hope you all had a great 4th of July and enjoyed my tutorial on how to layer heat transfer vinyl. These came out looking fantastic! Good way to sneak the history lesson in there! Found your post at Weekend Wander. What a wonderful idea, Angie!! It looks so easy and quick! We would LOVE it if you stopped in and shared it in the Crafty Showcase. We also put out a challenge for people to link up Christmas for our Christmas in July Party! Wow, this looks great & SO professional!